Sheridan, Colorado began with the establishment of a U.S. Army post in 1887, and grew in tandem with the expansion of the Southern Pacific and Rio Grande railroad facilities thriving in the area, at that time. 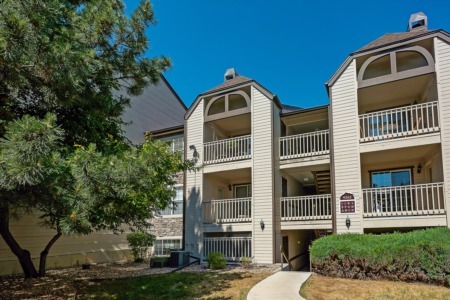 Located in the south Denver metropolitan area, about twenty minutes from downtown Denver, today Sheridan, Colorado offers its residents quick access to the world-class dining, shopping and cultural centers offered in Denver. Sheridan has just debuted its own design on the future. The River Point Project, a 135-acre retail development set against the Platte River, and adjacent to Englewood Country Club, opened for business in the spring of 2008, creating new jobs and increased tax revenues for the city, and the timing it seems could not have been better, since real estate prices in the area still look down right attractive. Despite all the growth and development taking place however, Sheridan’s 5600 residents still demand time for some of the simpler things in life, and each year without fail, Volunteers from the Sheridan Fire Department sponsor a community pancake breakfast, and parade, to help drive home the point.